Wooden cutting boards are much more environmentally friendly (and safer to use), but they're harder to disinfect because you have to be careful about what types of cleaners you use on them. The hot, soapy water you dunk your plastic board in to clean it will cause wood to dry out and eventually warp. So what should you use instead? You don't need to go out and buy a special soap or cleaner because you probably already have what you need in your kitchen cabinets—lemon juice and salt. 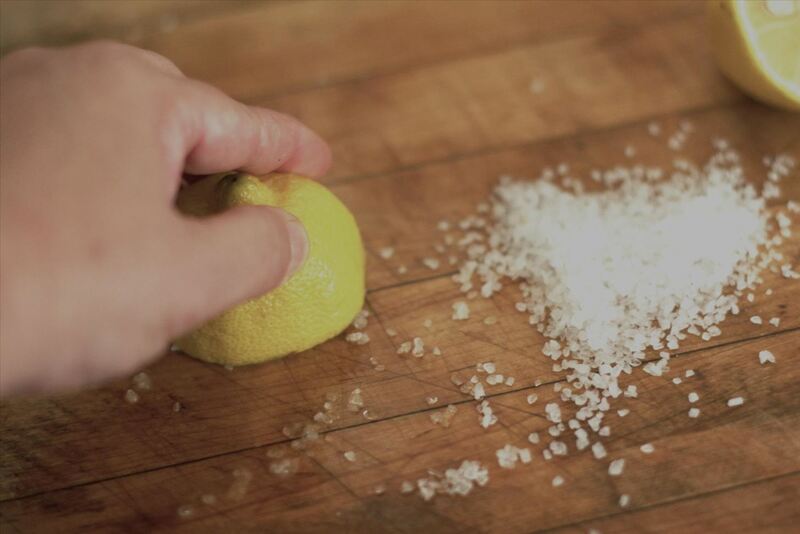 As The Kitchn explains, the salt acts as a scrub to help remove stains that normal cleaning doesn't. The lemon juice disinfects and gets rid of any lingering odors and germs. Just give your board a good rinse or wipe, sprinkle it generously with salt, then use half a lemon to scrub until it's all dissolved. Let it sit for a few minutes, then scrape or wipe the water off and give it a final rinse. You can also add white vinegar to the mix for extra stain-fighting power. 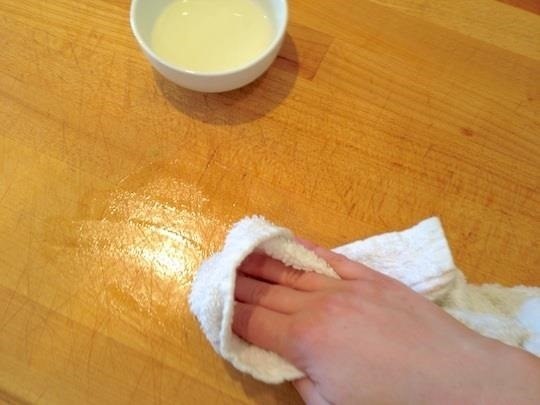 Once you're finished, rub down your cutting board with mineral oil to prevent cracks and keep it looking new. Mineral oil (or another oil made specifically for cutting boards) is best, but there are a few types you can use. Just make sure it's an oil that won't go rancid easily, like walnut or almond oil. Stay away from cooking or vegetable oil or you'll have a nasty smell to deal with if it goes bad. You can find more tips and information on cleaning wooden cutting boards over on The Kitchn or Apartment Therapy. Know of another natural method that works just as well? Let us know in the comments section.